Colorful vector graphics of badges to use as a decoration for a product label or advertisement. 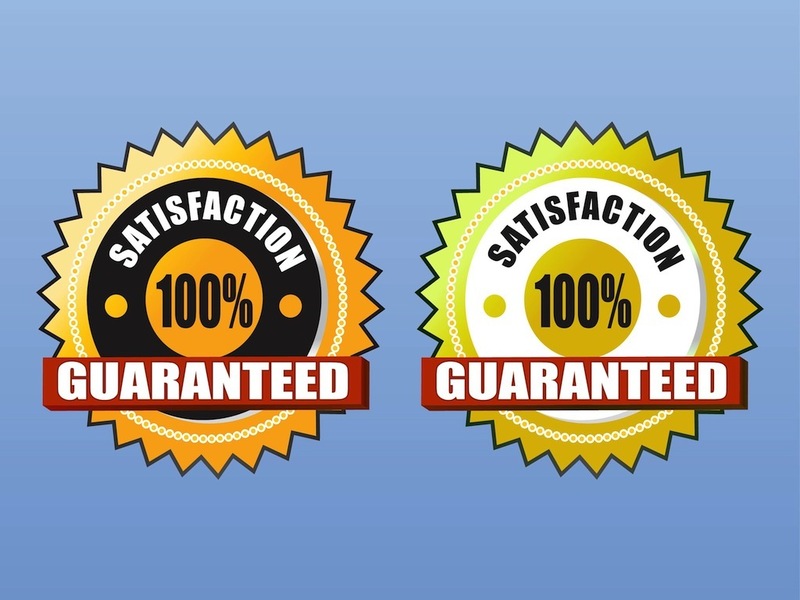 Text reading “100% satisfaction guaranteed”. Different colors used on the different version of the design. Free vectors for all product label decorations, advertising materials and promotional posters projects. Tags: Ads, Advertising Materials, Icons, Satisfaction, Stickers, Warranty.